Roll Up, Roll Up! It’s the Radio Lollipop Circus! 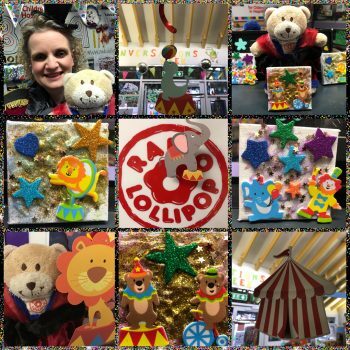 The circus came to visit Radio Lollipop in Bristol on Saturday 29th September to help the team celebrate 34 years at the Bristol Royal Hospital for Children! Hobble the Dancing Bear and Ringmaster DJ Splinter put on the greatest show with the Silly Saturday Team supervising circus themed arts and crafts for all the children and their families who came to celebrate our birthday with us! We all had a lollipoptastic time!